Tintin used to move in the highest of circles. He counted, Kings, Counts, Duchesses and Dictators among his list of friends. No wonder, he used to roam in the best of the cars too. The next car I am going to introduce is nothing but the epitome of car automobile engineering. Labelled as the best car in the world, which were named after ghosts and phantoms because they were so silent. Yes, I am talking about Rolls Royce. 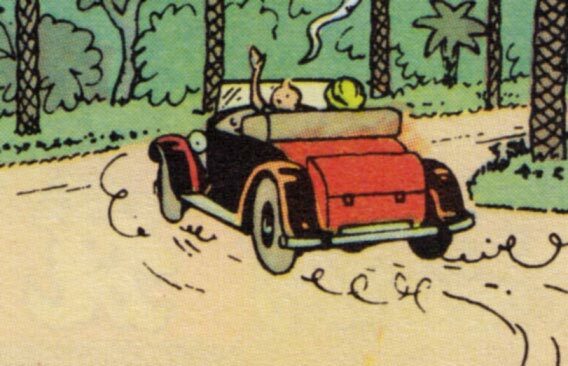 In “Blue Lotus”, Tintin is seen in a Rolls Royce Phantom I while he bids good bye to the King of Gaipajama on his way to Shanghai. Though I don’t think I need to introduce my readers to the Rolls Royce, but just for the formality. Rolls Royce was founded on 15 Mar 1906 by Charles Stewart Rolls and Sir Fredrick Henry Royce. This company, in addition to cars, also builds aircraft engines, marine engines, nuclear reactors etc. The company was nationalised in 1971 after it faced financial problems during the development of the RB211 jet engine. The nationalised company was renamed as Rolls-Royce (1971) Limited. In 1973, the car division was separated as the Rolls-Royce Motor. Incidentally, today, Bentley Motors Ltd, which is a subsidiary of the Volkswagen Group is the direct successor of the Rolls-Royce Motor and not Rolls-Royce Motor Cars Limited which is owned by BMW. Rolls-Royce Motor Cars Limited was established in 1998 after BMW was licensed the rights to the Rolls-Royce brand name and logo from Rolls-Royce PLC and acquired the rights to the Spirit of Ecstasy and Rolls-Royce grill shape trademarks from Volkswagen AG. 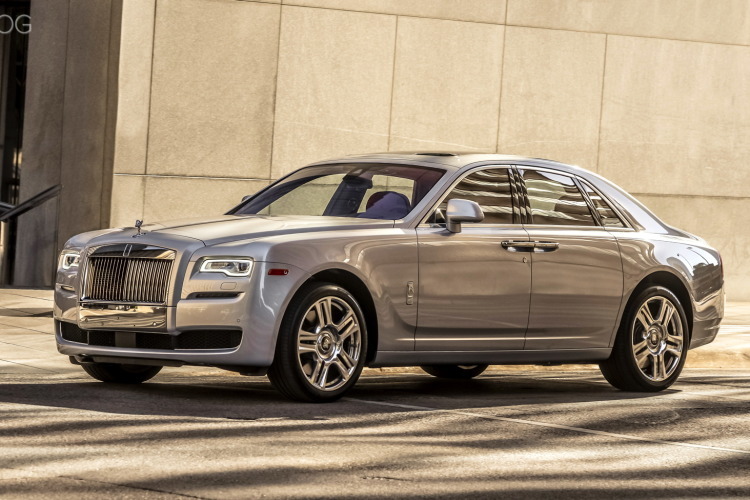 This company is the exclusive manufacturer of Rolls-Royce branded motor cars since 2003. Slightly complicated, but then that is a story for another day. 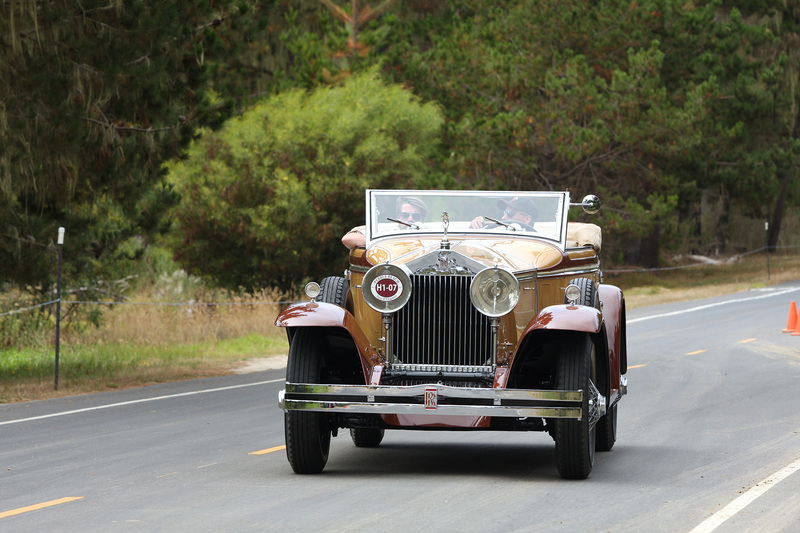 Coming to the car under discussion, the Phantom was introduced in 1925 as a replacement for the silver ghost. This car was manufactured in Derby in England and at Springfield in USA. The car was in production till 1929 and was replaced by the Phantom II. A total of 3509 cars were produced, 2269 in UK and 1240 in the USA. This car was the flagship of the company till 1929 and was also called the 40/50 HP. This car was powered by a 7668 cc straight six cylinder engine with push rod operated over head valves. The engine was cast iron and had two valves per cylinder. 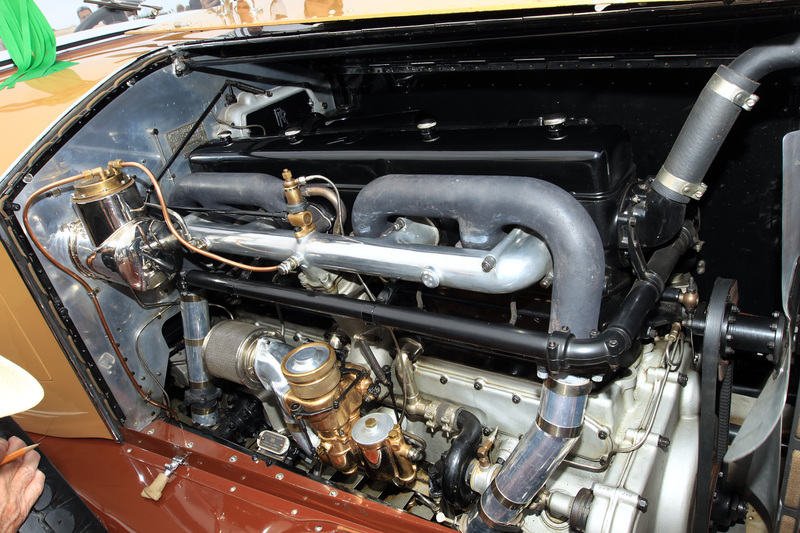 The six cylinders were assembled as three sets of two cylinders each with separate removable cylinder heads for each set. Rolls Royce traditionally never indicates the power produced by their engines. When launched the car was said to produce ” sufficient power”. However, the car produced 108 HP at 2300 rpm. It had a four speed manual gearbox which transmitted power to the rear wheels. This arrangement was sufficient to propel the car to an estimated maximum speed of 135 to 145 km/h (84 to 90 mph). 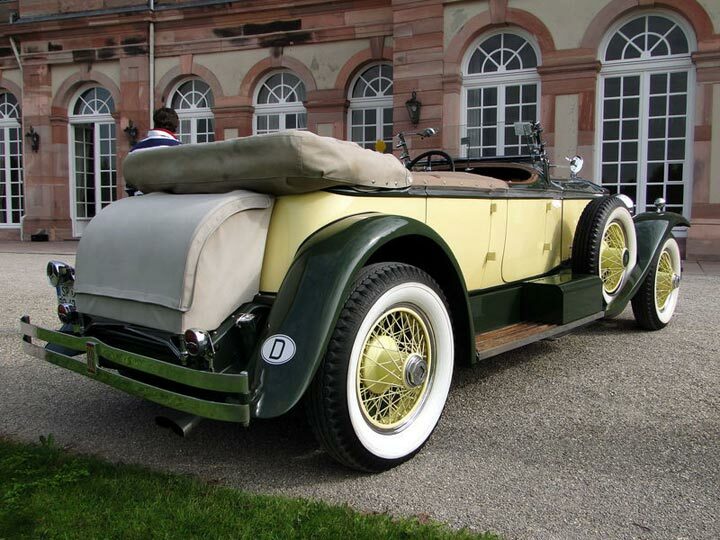 It used semi elliptical springs in the front suspension and cantilever springs to suspend the rear axle.The car had four wheel braking licensed form Hispano Suiza. It employed drum brakes on all four wheels. However, early US models had only rear wheel brakes. Another difference between the US and UK vehicles was the gear box. The American cars had a three speed manual gear box. 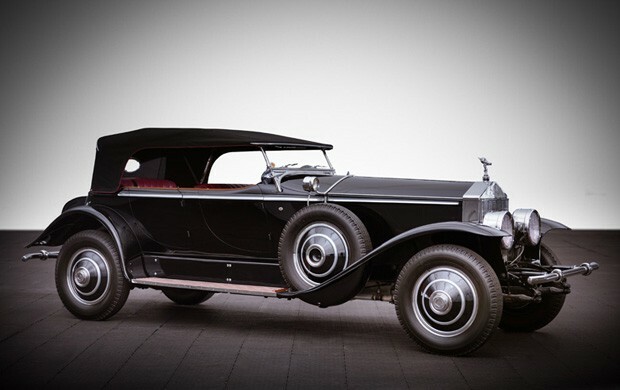 As was the trend at that time, only the mechanical parts and chassis was manufactured by Rolls Royce. Bodies could be ordered by the owners on any of a number of coach builders like, Barker, Park Ward, Thrupp & Maberley, Mulliner and Hooper. Bodies for the American cars were built by Brewster & Co owned by Rolls Royce itself.